The year of 1916, can best be described as a blood bath for the allies. The French army’s battles at Verdun would prove to have a horrible effect on the men of France. Germany’s objective of having France “bleed itself white” was almost fully realized as approximately 800,000 French casualties were counted. As the attacks persisted the French would endure a mutiny within the ranks and a casualty list that could not be ignored. Looking for a broad push that would push the German infantry into a retreat, and in part, to relieve the pressure on the French forces at Verdun, Field Marshall Haig had planned a British attack for July 1, 1916 in the region of the Somme River. After a immense artillery barrage on the German line, the plan called for over 100,000 men go “over-the-top” and smash the German lines. It was believed that after such artillery, the lines would be obliterated and the sweep of the German forces would begin with few casualties. The outcome, of course, could not have been more tragic. It soon became obvious that the German forces had endured the artillery in their deep underground dug-outs, the barbed wire had not been destroyed and that the British forces were easy targets for the German machine gunners as they, in full daylight, moved into no-man’s land. As the day wore on, the British would experience their worst day in history by having over 58,000 killed. On this day, the First Newfoundland Regiment would be sent into battle (Newfoundland was not yet a part of Canada) at Beaumont-Hamel on the Somme front. Of the 801 Newfoundlanders that left the trenches on July 1, 1916, only 69 were able to present themselves for the next day’s role-call. By September of 1916, the Canadians were brought into the action in relief of the Australia’s and New Zealand’s forces which had met with little success on the Somme. 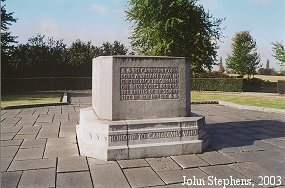 It is also recognized that the Canadians were brought into the situation in the hope that they could achieve the same level of success they had earned in previous actions against the Germans and in no small way save Haig’s reputation and career. 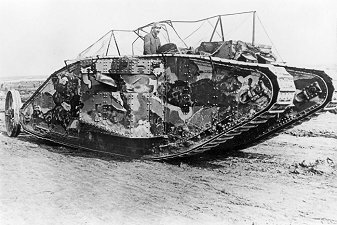 On September 15 the Canadian Second Division attacked at Courcelette. For the first time, their attack would be supported by seven tanks and a rolling barrage. The Canadian First Division, replacing the Australian and New Zealand regiments attacked at Pozieres Ridge. The Canadian Third Division moved against the strongly defended Fabeck Trench. The three Canadian divisions fighting both the heavy rains, thickening mud and a well entrenched enemy achieved success but at heavy costs. The formidable, Regina Trench, however, still was not taken. Regina Trench was the longest German trench on the front and stood well supported behind barbed-wire and machine guns. Regina trench was attacked for two months before the Canadian Fourth Division was brought into action. The position fell on November 11, 1916. In roughly six months of fighting the Somme offensive had gained the allies a mere 10 kilometres at a total cost of over 620,000 dead and wounded. 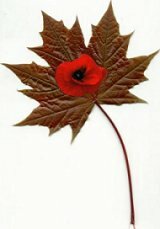 Canadians during the slightly more than two months on the Somme had taken 24,029 dead and wounded. It is fair to say that the Canadians had learned a number of lessons and sent out a few messages during this time. Canadians were now viewed by both sides as a top level fighting force that would not settle for anything less than success. They had also realized that new tactics must be developed and planning must include provisions for protecting lives. Perhaps the most important lesson learned: it was time for the Canadian General Staff to listen more to their own voices in the planning stages and less to those from the British High Command. The high price of success paid on the Somme at Courcelette and Regina Trench would prove its worth during the following spring at Vimy Ridge.